Premium Quality Exhaust Heat Wrap: LIBERRWAY exhaust wrap is made from pulverized lava rock. 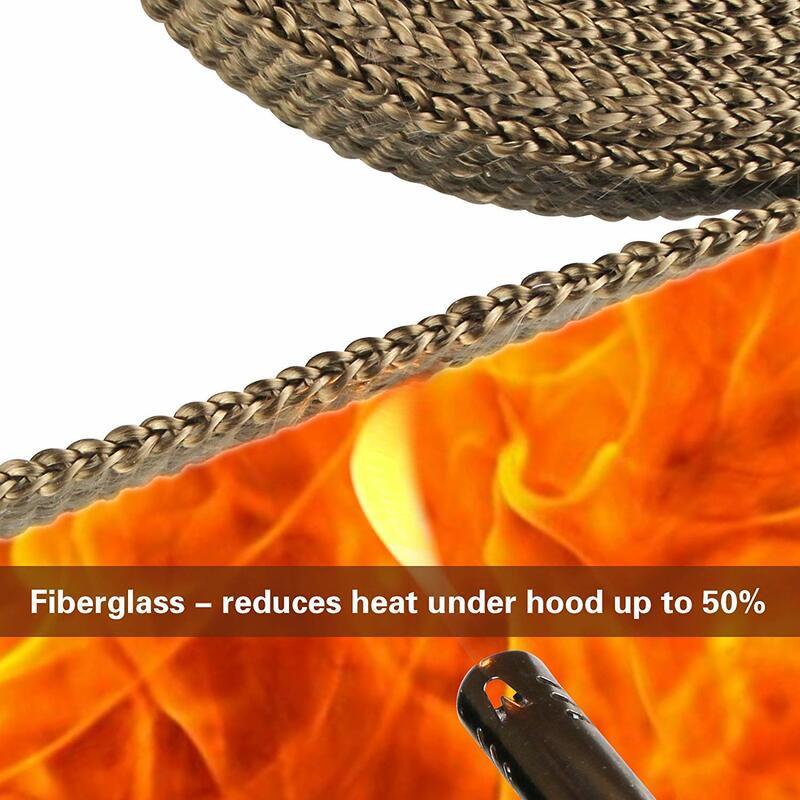 The header wrap reduces heat under hood up to 50% and improving car and motorcycle performance. 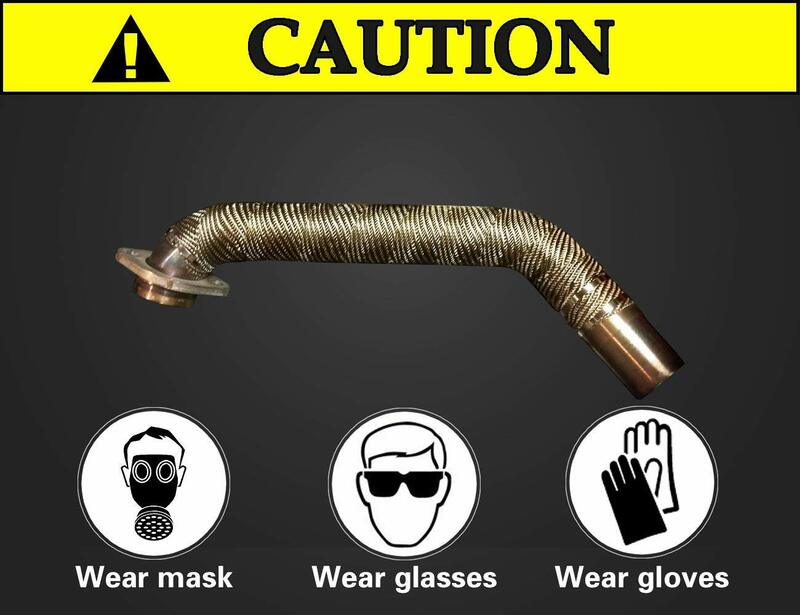 Effective Exhaust Header Wrap: Withstands 1400℉ direct heat and 2000℉ intermittent heat. 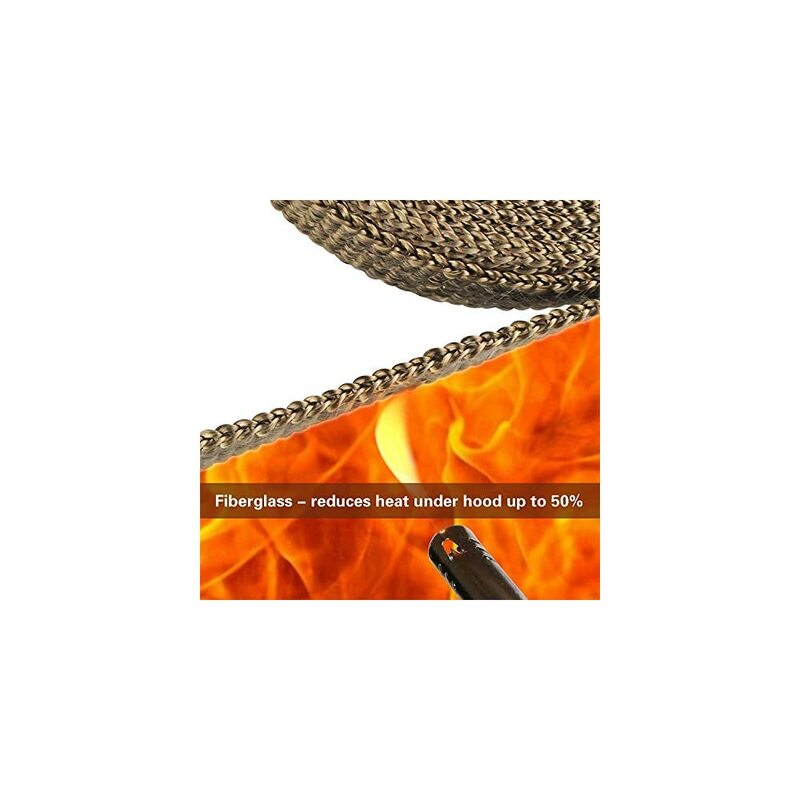 Stronger and more durable for improved thermal performance and reliability. 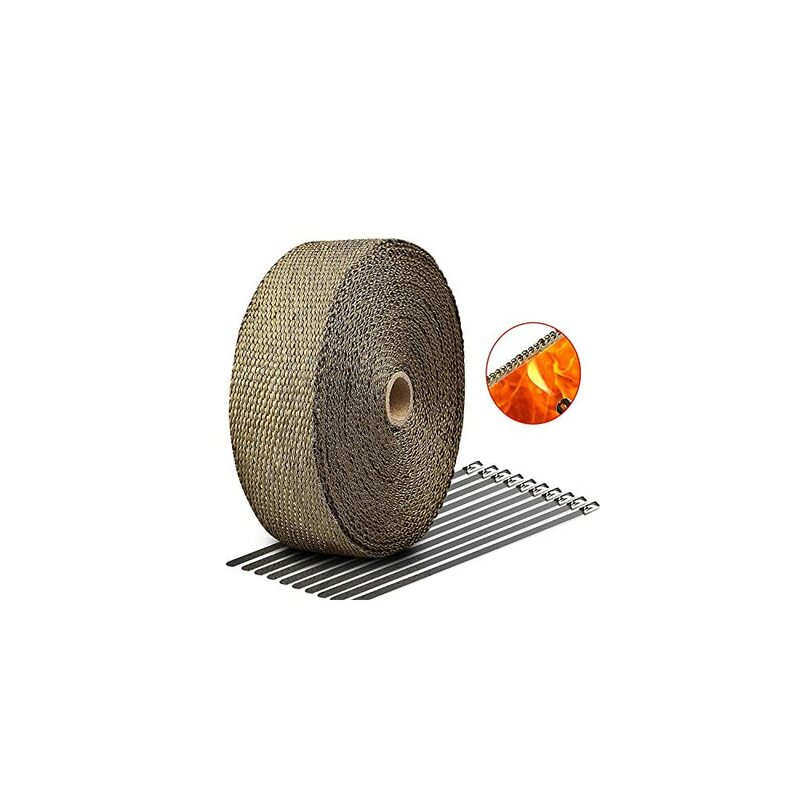 High resistance to abrasions, oil spills, temperatures and vibration breakdown. 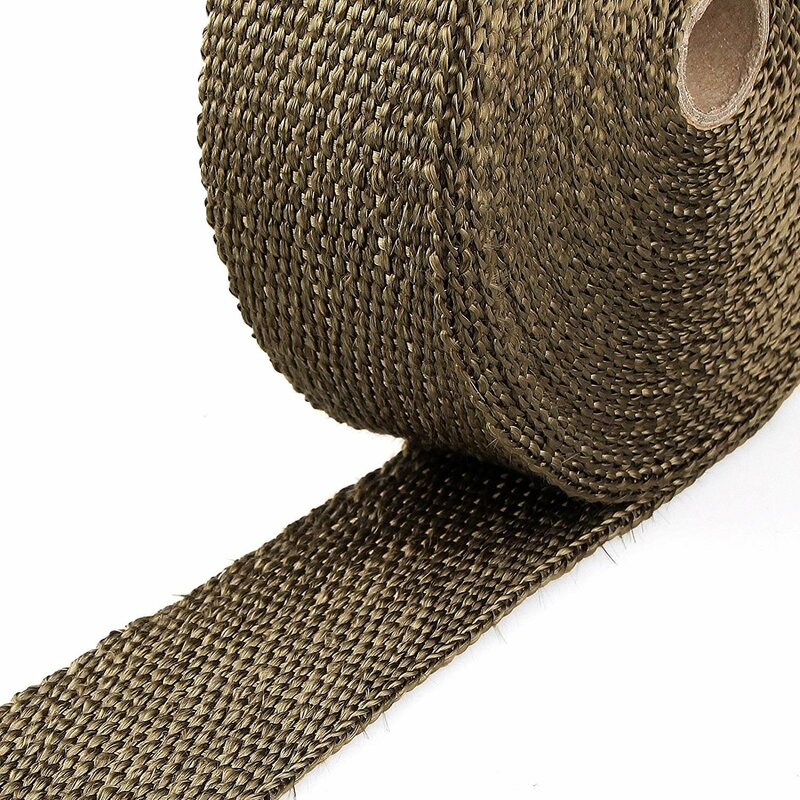 Functional Header Wrap: Extremely pliable for a tight and secure wrap. 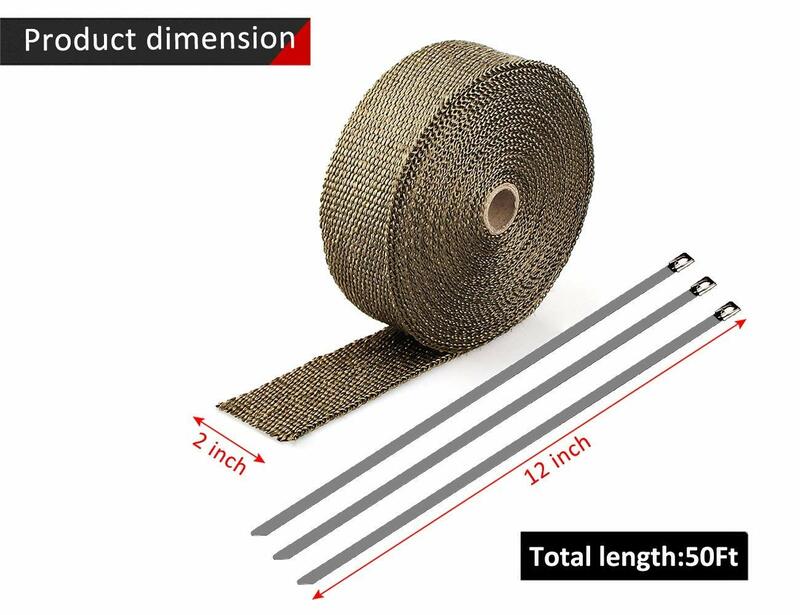 Improves horsepower performance and can be used on car exhaust header wrap, motorcycle exhaust pipe, gas pipe and other custom applications. Easy to Install: Before installing, soak the header heat wrap in water so that the fiberglass will not flying about. Wear gloves to avoid itching. Wrap it around your exhaust pipe, using overlap to hold it in place (like a tennis racket grip) and simply use stainless ties to secure the ends in place. 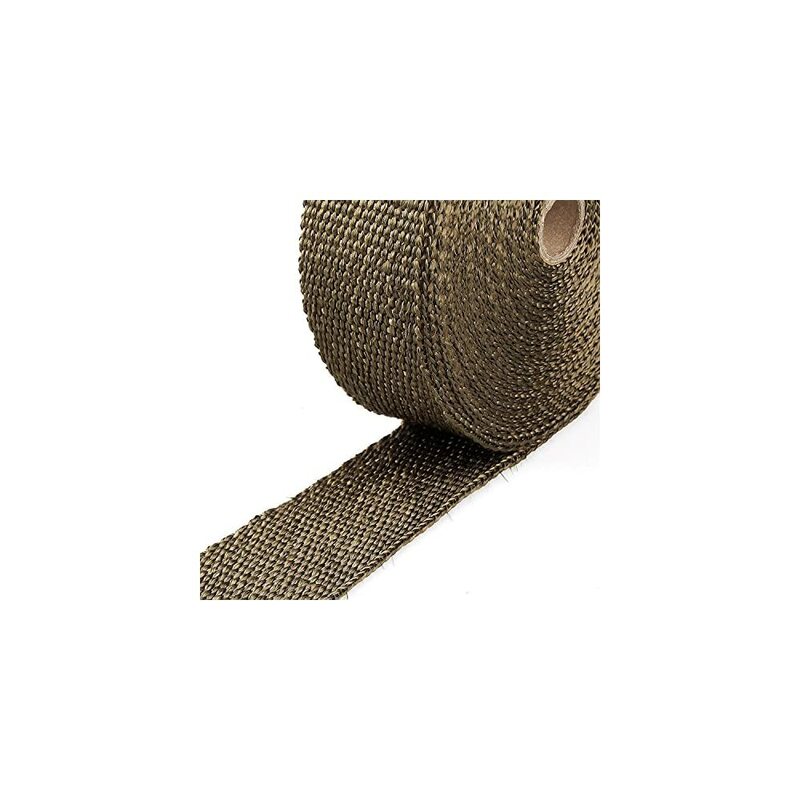 What You Get: A roll of 2 in (width) x 50 ft (length) x 1/16 in (thickness) header exhaust wrap, 10 pcs 0.3 in (width) x 11.8 ft (length) 304 stainless steel zip ties and a pair of gloves. 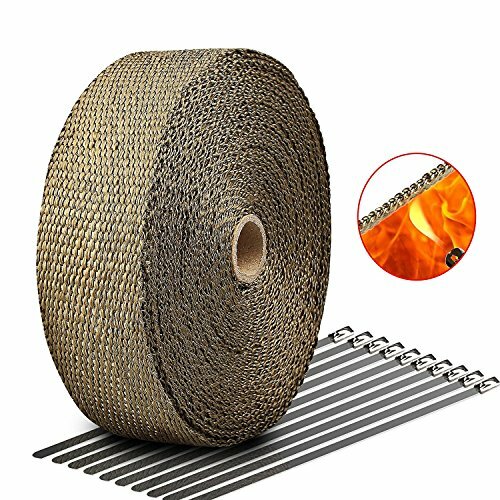 LIBERRWAY exhaust wrap comes with 1 Year Free Warranty and Full Refund within 60 Days to ensure your pleasant shopping experience.